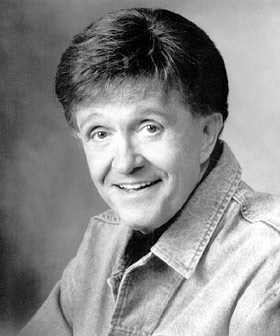 Bill Anderson was born with the name James William Anderson III on Nov. 1, 1937, in Columbia, S.C. He learned the guitar at age 12 and formed his own school band. He graduated in journalism from the University of Georgia, becoming a sports writer and also working for a radio station in Commerce, Ga. In 1958, Ray Price earned a gold record with Anderson's song, "City Lights," after Price heard his demo. Two years later, Anderson cracked the Top 10 on his own with "The Tip of My Fingers," which later became a hit for Roy Clark, Eddy Arnold and Steve Wariner. He joined the Opry in 1961. In 1962, he stayed at No. 1 for seven weeks with "Mama Sang a Song." He repeated the feat in 1963 with "Still." After discovering Connie Smith, he gave her his song "Once a Day," which topped the charts for eight weeks in 1964. That same year, Lefty Frizzell hit the top for four weeks with Anderson's "Saginaw, Michigan." Anderson also composed hits for Hank Locklin, Jim Reeves, Porter Wagoner, Brenda Lee, Mickey Gilley and Conway Twitty. He wrote "Face to the Wall" with Faron Young and "When Two Worlds Collide" with Roger Miller, which they composed by coming up with alternate lines on a car trip. 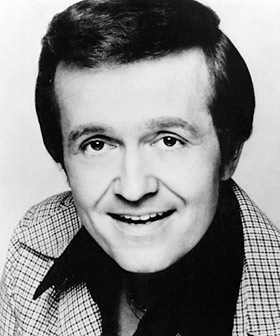 Anderson earned the nickname "Whispering Bill" in 1966, from a comedian, teasing him about his narration on "Golden Guitar." Toward the end of the '60s, Anderson recorded several duets with fellow Opry member Jan Howard. In the 1970s, he notched 18 more Top 10 hits, including two more No. 1's. He spent the 1980s as a personality on The Nashville Network, as well as the Grand Ole Opry, but his new career was set back in 1984 when he and his wife were involved in a car crash with a hit-and-run driver. He published his autobiography in 1989 and a book of anecdotes in 1993. In 1995, Vince Gill released a song written with Anderson, "Which Bridge to Cross, Which Bridge to Burn." He was inducted into the Country Music Hall of Fame in 2001. That same year, he won his first CMA award, for the vocal event "Too Country," with Brad Paisley, Buck Owens and George Jones. In addition to singing on the record, Anderson also co-wrote the song.